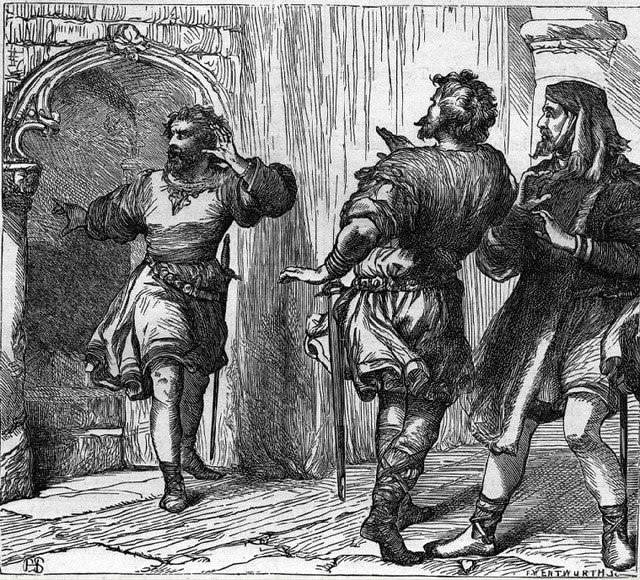 Macbeth is a tragedy which unfolds before us a world where “Good things of Day begin to droop and drowse, / Whiles Night’s black agents to their preys do rouse.” It portrays a dark and gloomy world which teems with blood and murder. But the presence of the drunken porter with his comical and apparently meaningless words seems to be irrelevant. Pope and Coleridge agreed that the Porter scene was interpolated by the players. Whether Shakespeare wrote it or not is debatable issue. But its relevance and significance in the whole play can be logically established. Secondly, it provides comic relief to the audience. The audience has just witnessed the killing of Duncan and the horror surrounding it and this comic scene gives the audience a chance to catch their breaths and enlivens the gloomy atmosphere of horror. The Porter is, as White comments, “one of Shakespeare’s true humours grotesques, although not of the best sort of them.” He can be compared with the grave-digger in Hamlet and the Fool in King Lear. According to Prof. Hales, the Porter is intended to be contrasted to his master and to come out as the better man, morally superior to Macbeth. He is no doubt vulgar, lo-bred, drunken and obscene. Yet he has committed no murder. His presence may bear an implicit moral import that a man of foul tongue is better than a man of foul deed.